Portland Painting and Restoration is one of Portland's & Vancouver's premier painting & repair contractors. Our professional team is committed to client satisfaction and quality workmanship. We pride ourselves in providing clients with the necessary information regarding any upcoming paint or restoration project, and work with our clients to achieve the best results for their homes. From an initial inspection, to color selection, to protecting your investment our team is here for you. Portland Painting and Restoration is a lead safe licensed, bonded, and insured professional contractor in Oregon and Washington. Offering all the services within the painting industry, we will meet and exceed all OSHA safety regulations and all work performed will meet or exceed PDCA standards and practices. 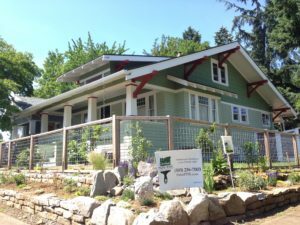 Servicing the greater Portland, OR metro area, we offer both Interior and exterior repaints as well as chronic failure solutions like lead paint removal of old failing substrates and carpentry repairs, of which ensures a sound substrate on historic homes to preserve them for another 100 years to come. A new exterior paint coating is not just about looks, but more importantly preservation of your investment. Over time, exposure to our nature’s element, your home or property's exterior coating can become worn, faded, cracked, peeled and even rotten. Here in the Pacific Northwest precipitation and moisture is a reliable constant that must be protected against. And conversely the sun and Ultra Violet (UV) light can cause an equal amount of damage over time. Our goal is to not only make your property look beautiful but to protect your investment from our unique weather and sun related damage. From simple repainting protects to high end interior finishes too lead paint remediation, our office staff and crew of professional painters has seen it all and will provide our clients with the right services for their project to ensure performance. When a home or property is not properly maintained for a long period of time, or is improperly maintained, and has chronic failure present (bubbles, sheathing, etc), the Lead Paint Removal process is the only solution beyond replacement of the siding to “fix” the problem. The old growth historic wood on these older buildings would be astronomical if replaced with a similar quality of wood, and the unfortunate reality is most siding contractors offer awful finger joint options from today's lumber suppliers of which is not worth your money, or hardiplank (of which we like-but not for historic homes). 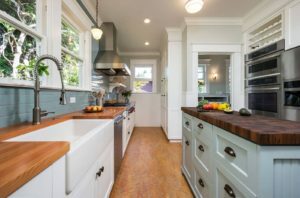 We specialize in dealing with chronic failure, and with our team of carpenters and close relationships with Portland’s premier paint removal specialists we can bring even the most dilapidated home back to like-new condition. So very often we find ourselves working with clients where Painting Contractors offered to prep and paint their building with chronic failure, unfortunately none of them warranty bubbles and the clients hear “Our paint stuck to yours, and yours failed”, and this is a sad fact that has never lost in court, and more importantly, your problem as the contractor gets to walk away. Our restorative paint removal process addresses the root of the problem, so that your home, & your investment, is set up for long-term success and a simplified lead free maintenance schedule. Our professional staff understands the restorative process and works closely with our clients to find the right solution to their interior and exterior projects.